Dr. Marla Kushner (Chicago) - Book Appointment Online! With more than twenty years of experience in Family Medicine, Adolescent and Addiction Medicine, Dr. Kushner is a well-known expert in her field. She is board certified in Family Medicine and Adolescent Medicine. 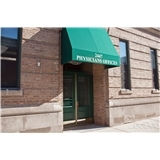 Our practice welcomes new patients! Everyone was incredibly nice, informed and able to be very helpful. Very much enjoyed my appointment and felt like I was getting great care and attendion.